Being HIV positive is not a death sentence. You can prevent getting AIDS, but even if there is no cure, it is still possible to live a long and good life. It has been 30 years since the first reported cases of a mysterious illness now known as AIDS and researchers have made extraordinary advances in understanding, treating, and preventing the disease. According to the Global Fund, at the end of 2011, an estimated 34 million people were living with HIV worldwide, two-thirds of them from Sub-Saharan Africa. But the number of people dying of AIDS-related causes fell to 1.7 million that same year, down from a peak of 2.2 million in the mid-2000s. “We could not have imagined these advances during the early days of AIDS, when all we could do was provide palliative care to waves of dying patients”, says Anthony S. Fauci, director of the National Institute of Allergy and Infectious Diseases (NIAID) in the US. Coping being diagnosed with HIV, as well as with treatment, varies from person to person. To many, AIDS seems almost like a chronic disease, treatable like diabetes. Yet for most affected by HIV, the experience is more complex, as it is a virus that never stops working. HIV requires continuous complicated treatment that includes different medicines, each having a different side effect. However, in developing nations, only about one-third of the 15 million people who need anti-HIV drugs have access to them. Humana has been working since 1999 to fight the epidemic, raising awareness about it and helping those affected by HIV to get access to the medicines and to be more integrated in society. 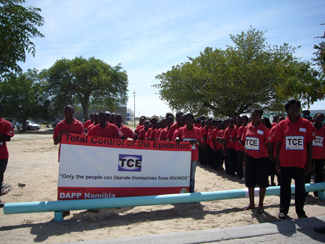 Through the Total Control of the Epidemic program (TCE), Humana has reached more than 15 million people. Humana works side-by-side with the Ministries of Health in each of the countries where it operates to help them lead and manage their national HIV/AIDS programs. The program raises HIV awareness among people through creating a deep dialogue on the disease. 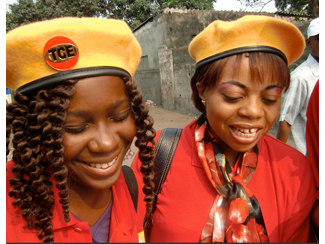 Community mobilization is in itself an important part of the HIV/AIDS intervention and TCE aims to help HIV-positive people lead normal lives. Among their tasks, trained field officers distribute a practical TCE manual on how to live a long and healthy life with HIV cheap: from basic knowledge in how to free themselves from germs and infections, to what to eat and recommendations on affordable medicines -the manual gives hope to the patients. 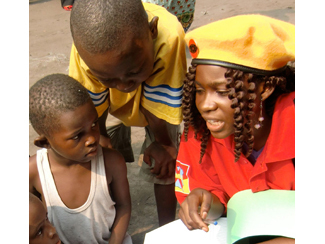 It also provides them with information on how to prevent TB and malaria, as people with HIV are much more vulnerable to these diseases. Thanks to years of research, treatments are no longer a way to delay death; they are instead a way to live a long, good life.